It's time for another recent faves and boy are there so many lovely posts this spring! I also included some of my favorite spring styles and maybe even a few favorite videos :) Pull up a chair and click through the links below to see what I have been loving! LOVE everything about this blue denim pinafore dress that Olivia is wearing! 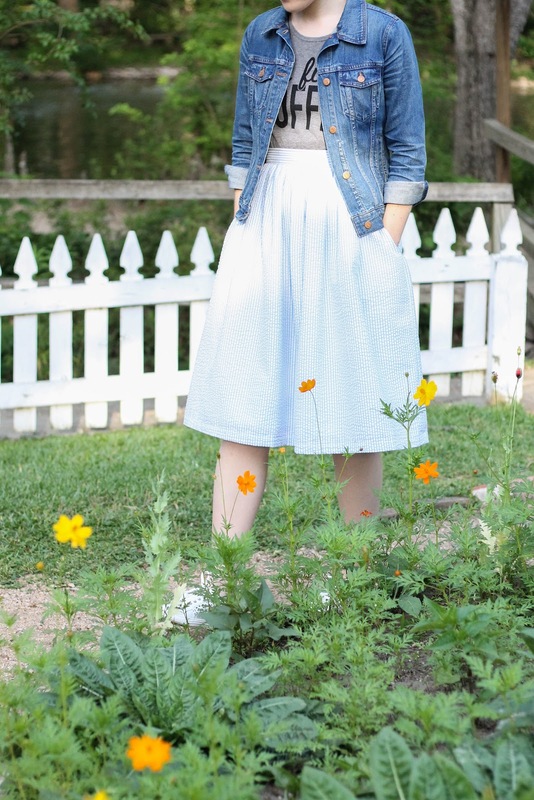 These white sneakers from Rack Room Shoes have been my favorite go to shoe this spring, and I love their ladylike take on the classic jogger. I love what Krista shared in one of her recent posts about the changing Instagram scenes....its so ratable. Always down for anything yellow especially if it has lemons on it like this dress Laura is wearing. Cathy recently went to Charleston (because of that I totally want to go now) and I love this flared jean look she wore. This floral dress that Daphnie is wearing is absolutely STUNNING and paired with a purse full of spring blooms it makes it even more amazing. As someone who might do things to often based off of their photographable qualities, I LOVED what Chrisy shared about her mindset when traveling and doing your own thing. Pretty excited to learn that Soafy finally started a blog!!! This Southern Gospel Medley by anthem lights is absolutely beautiful! Obsessed with Olivia's video talking about how to wear gingham and sharing all of her darling gingham pieces. I'm always flattered to make the list; it puts me in such great company!! That skirt is sooo cute!! I love it. Awe thanks for featuring me again! That is so sweet of you!